Is there someone special or a very special occasion that you are searching for a truly unique gift that they will treasure? 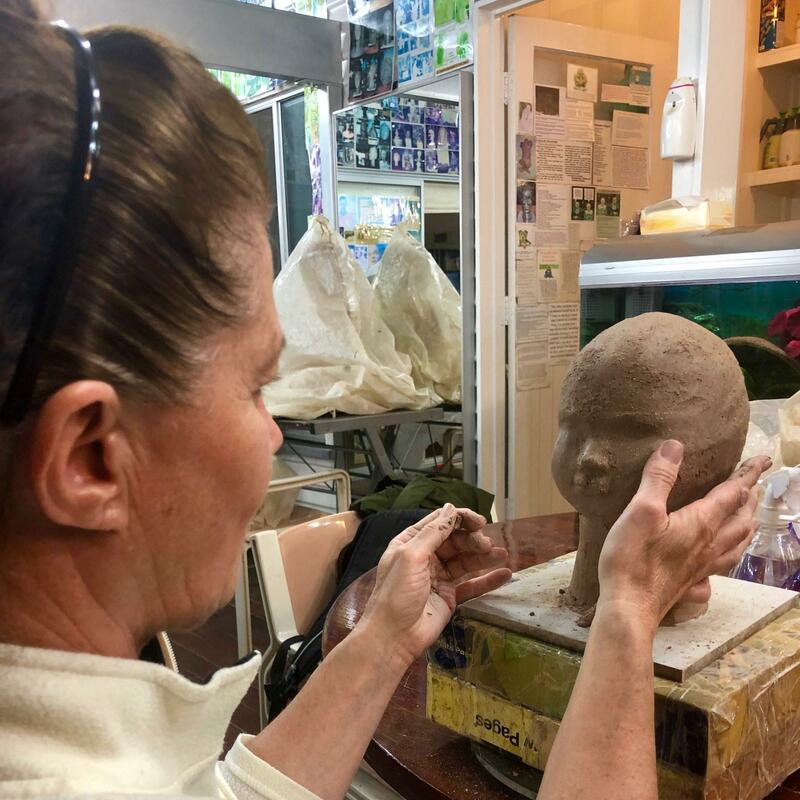 The perfect answer is here: Commission a unique, one of a kind, sculpture. 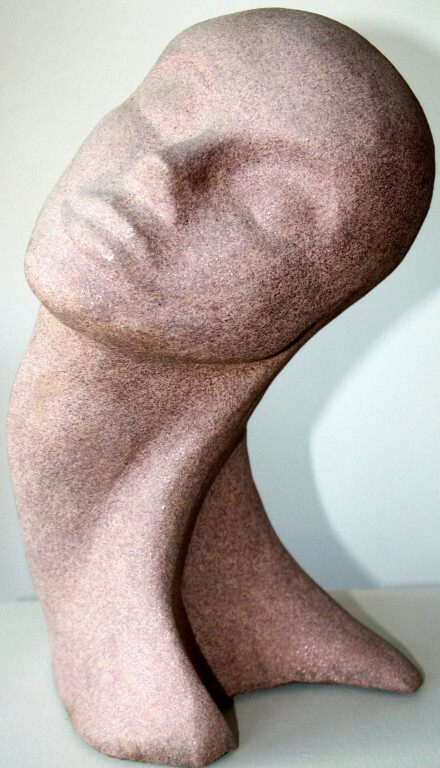 They will receive something that no one else has, something that is theirs alone and will provide an ever lasting memory. 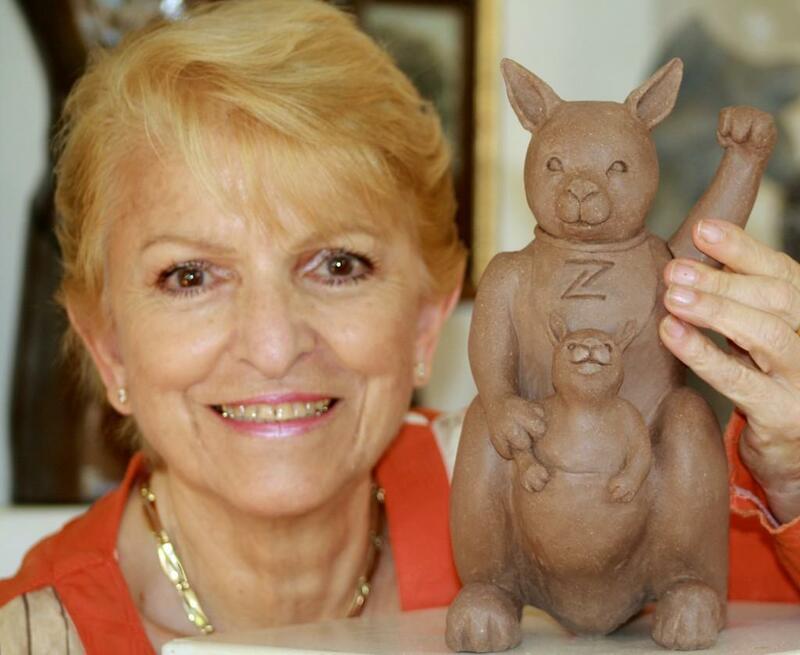 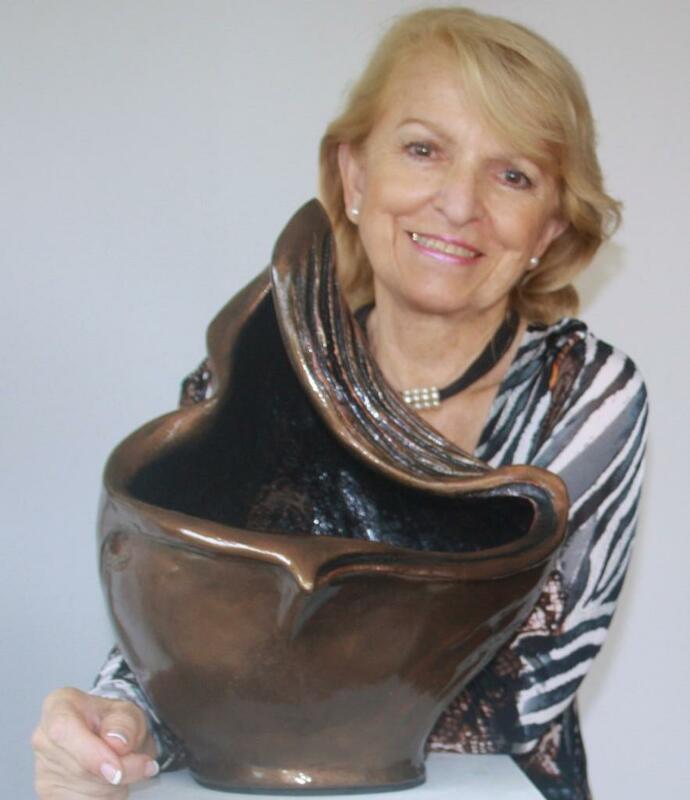 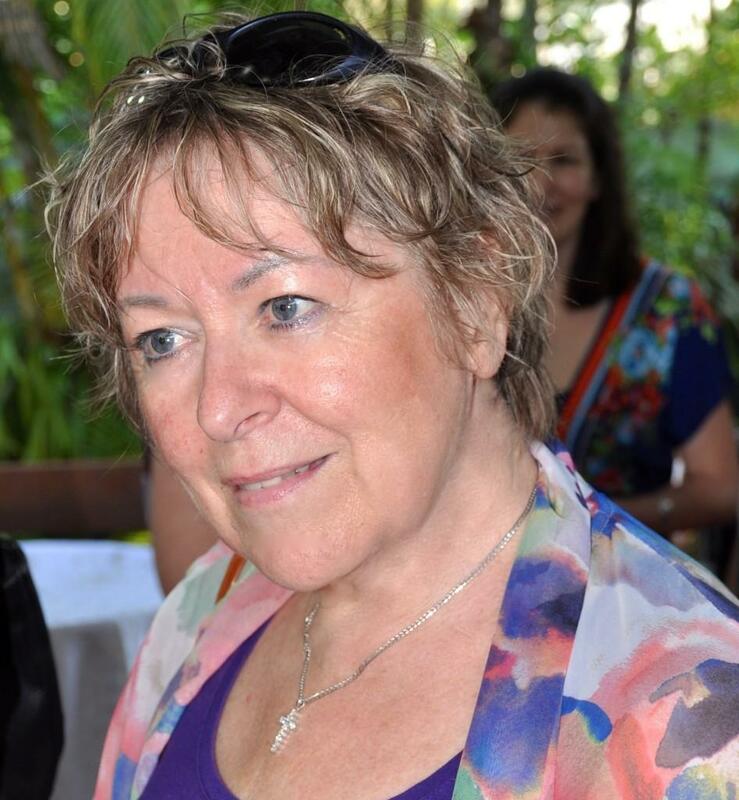 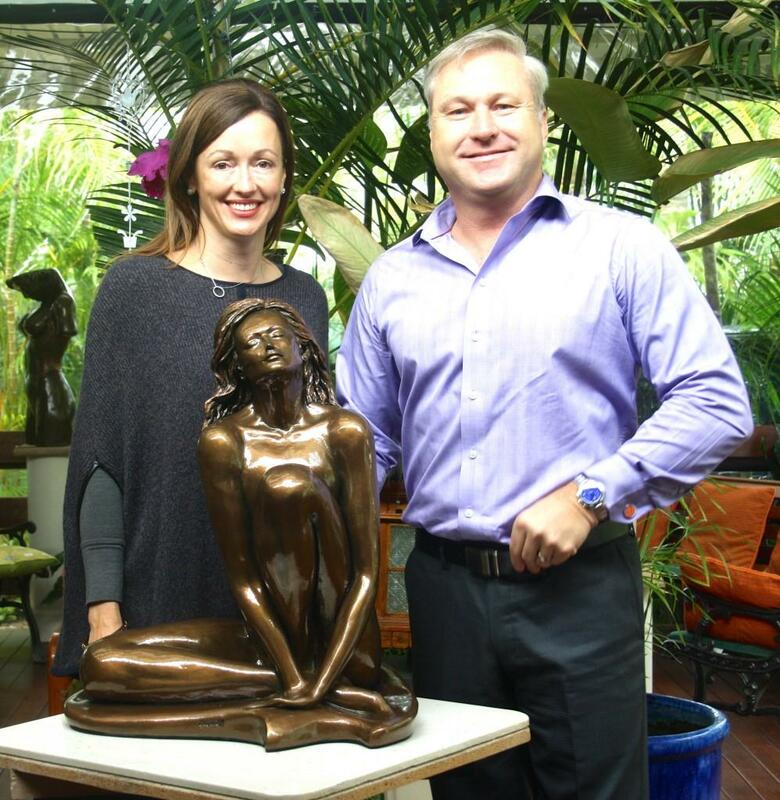 Your commissioned sculpture will be hand crafted by Georgette to meet your design. 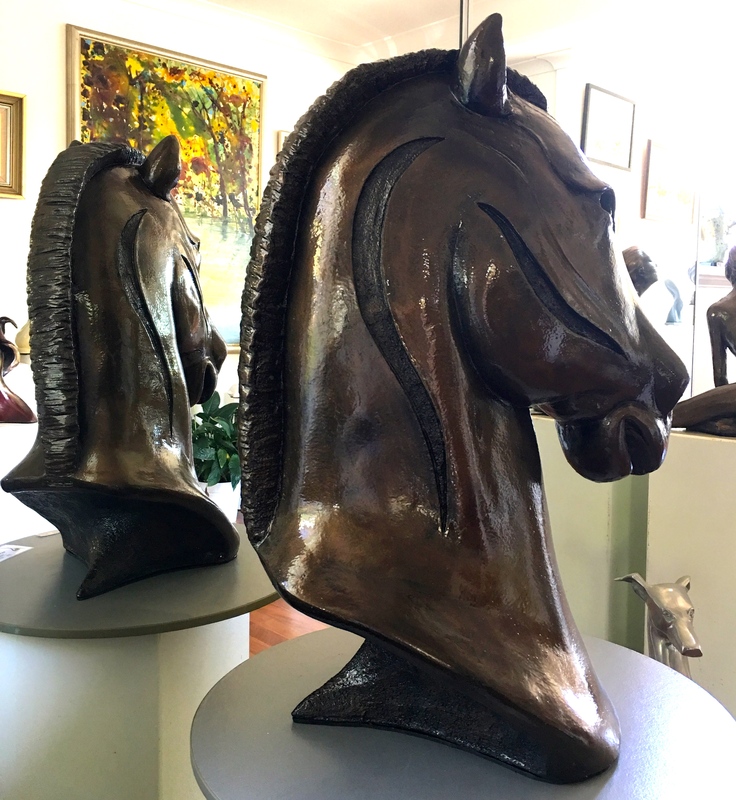 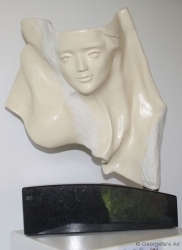 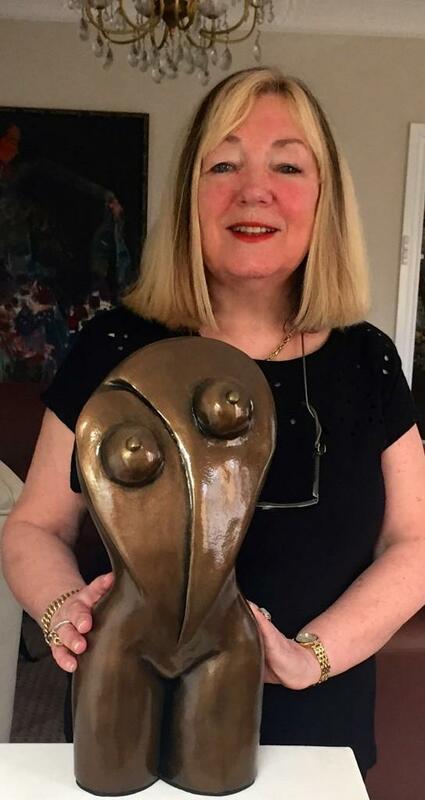 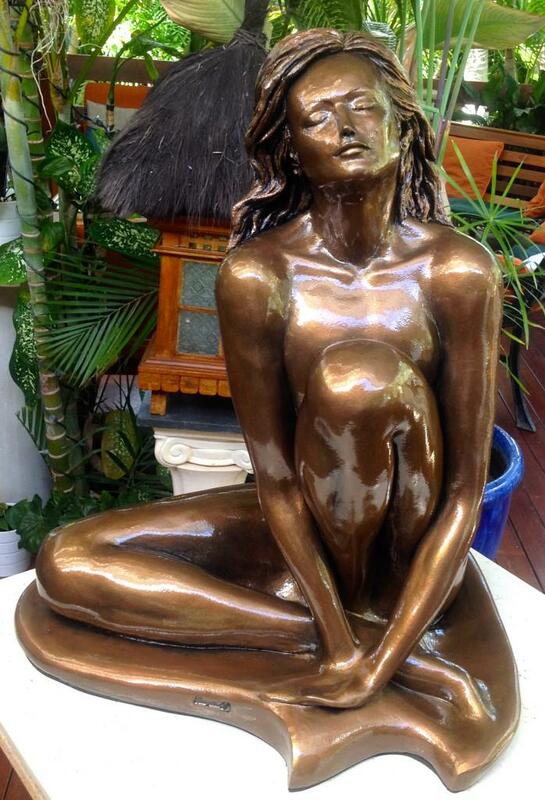 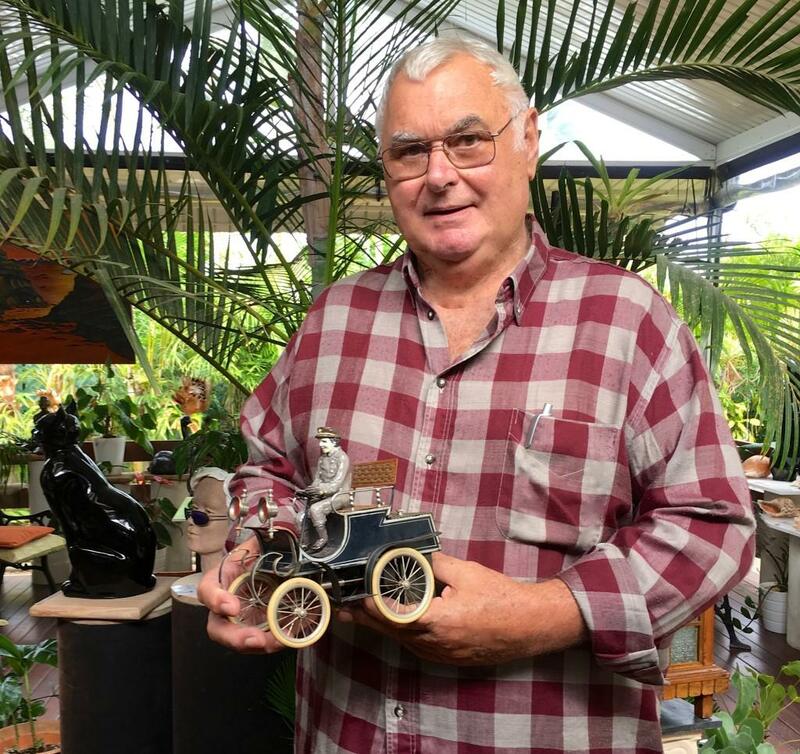 Georgette accepts commissions for sculptures including portraits, collectable exclusive editions, art form special editions, portraiture of your pets – past or present, corporate art for CEO’s as retiring gifts. 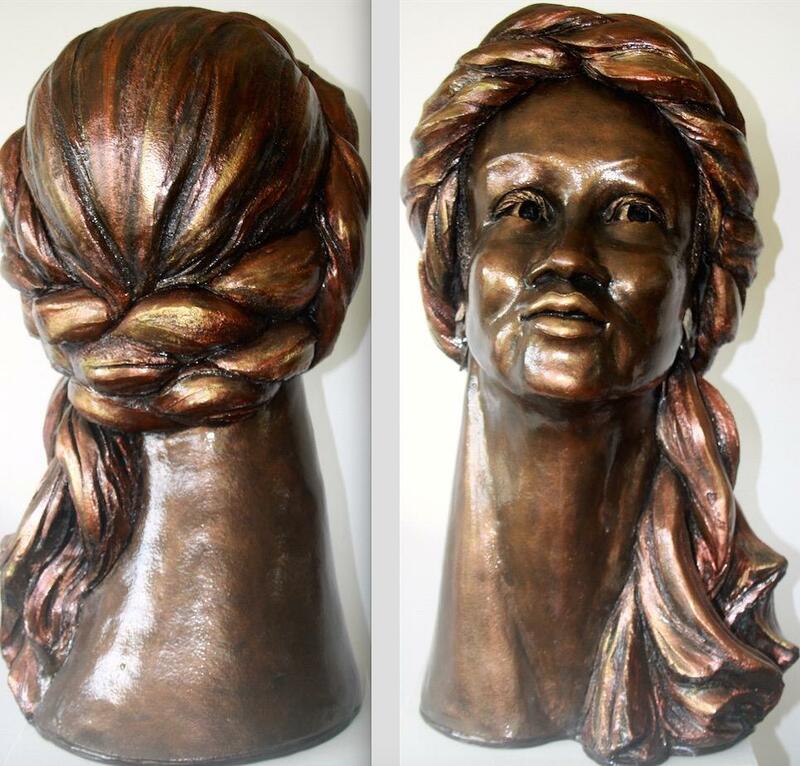 A hand crafted portrait of you or of your loved ones, so they’ll always remember you. 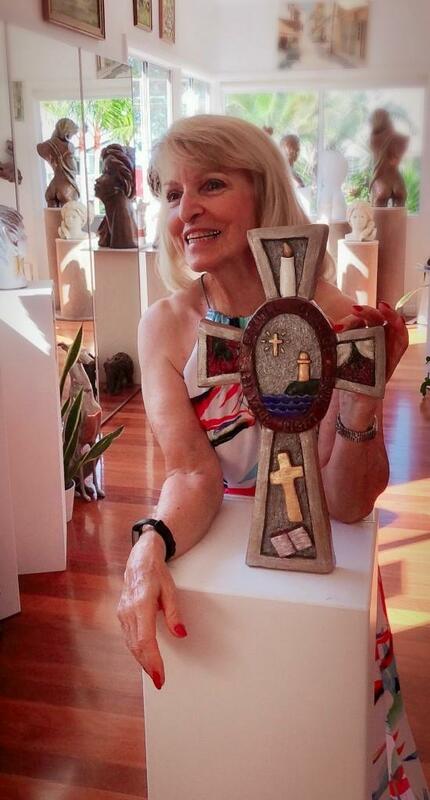 Much more meaningful than a bought gift! 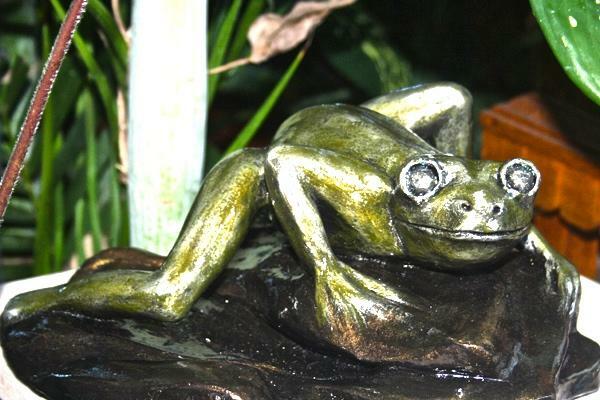 Featured on this page are just a few of the commissions created by Georgette on behalf of clients. 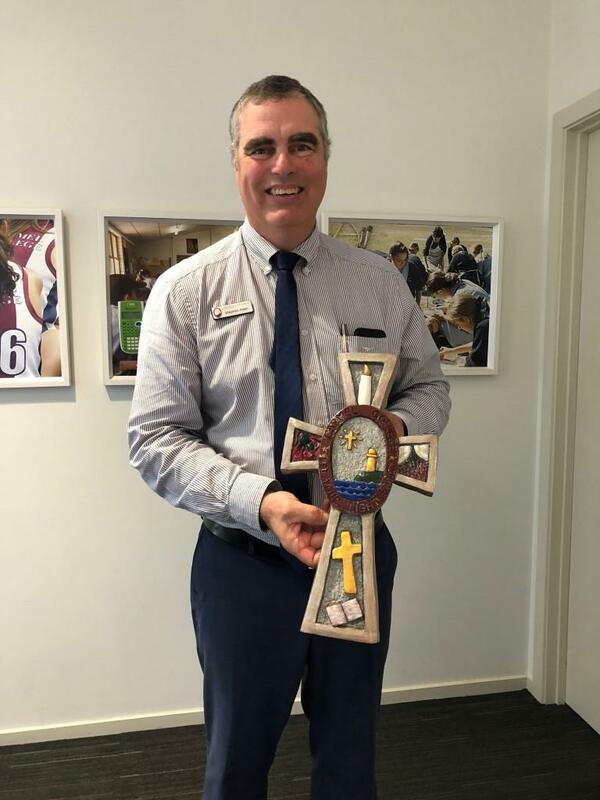 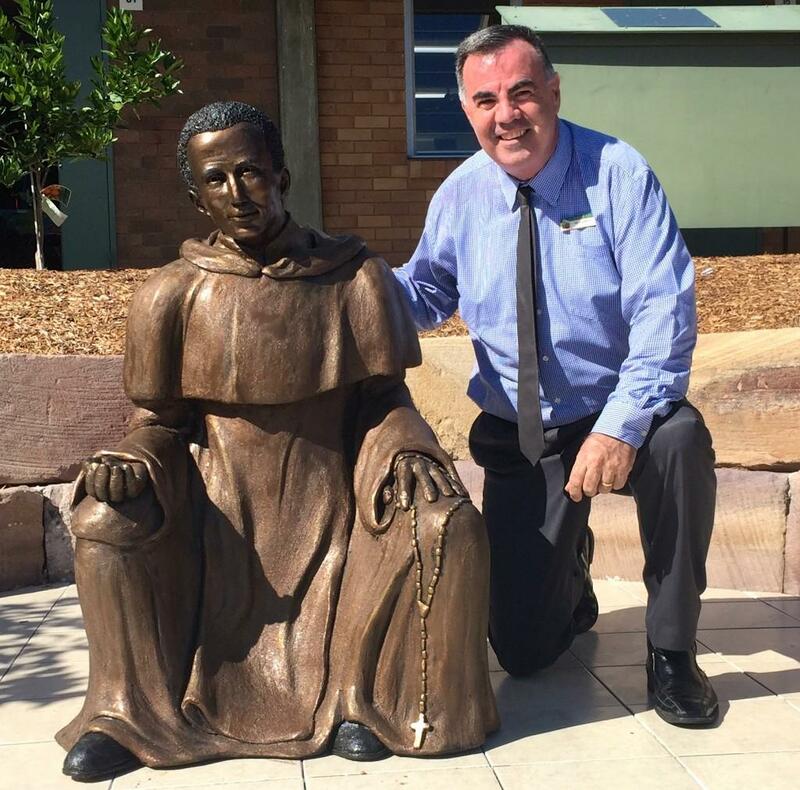 St Martin De Porres is now at it's resting place at St Martin Catholic School in Carina, Principal Mr Michael Kelleher was very happy with him. 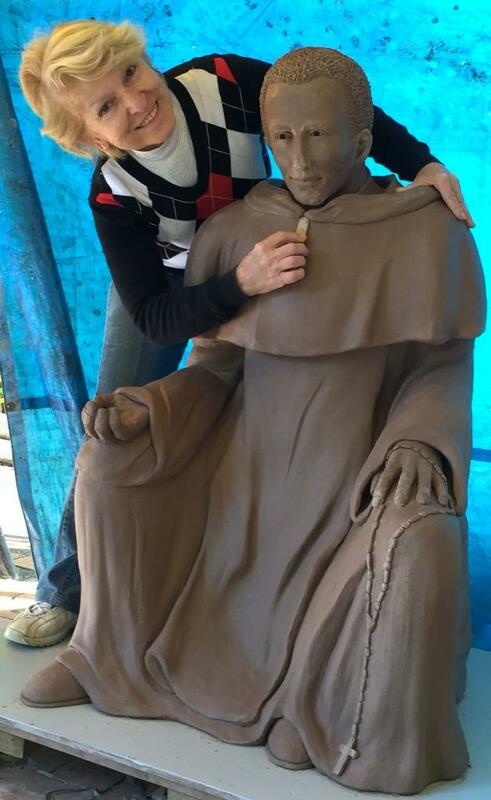 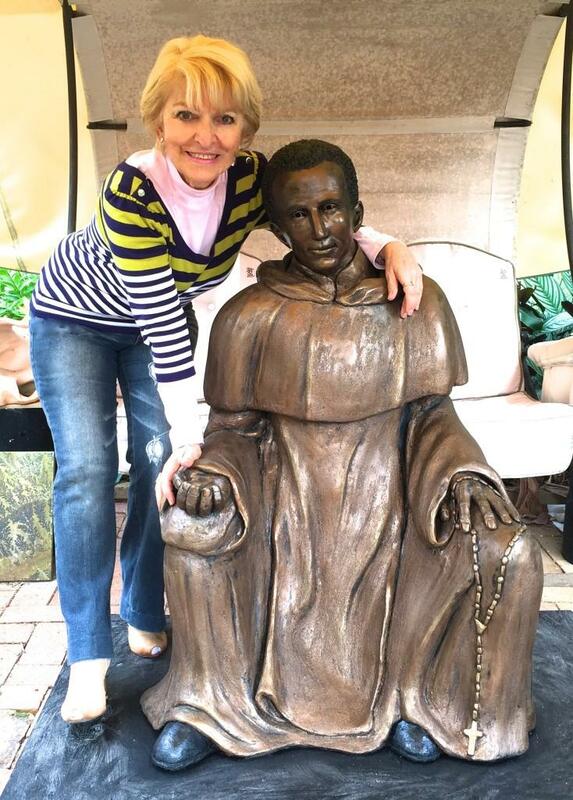 The Assistant Principal and I are extremely happy with our statue and very excited to have it here. 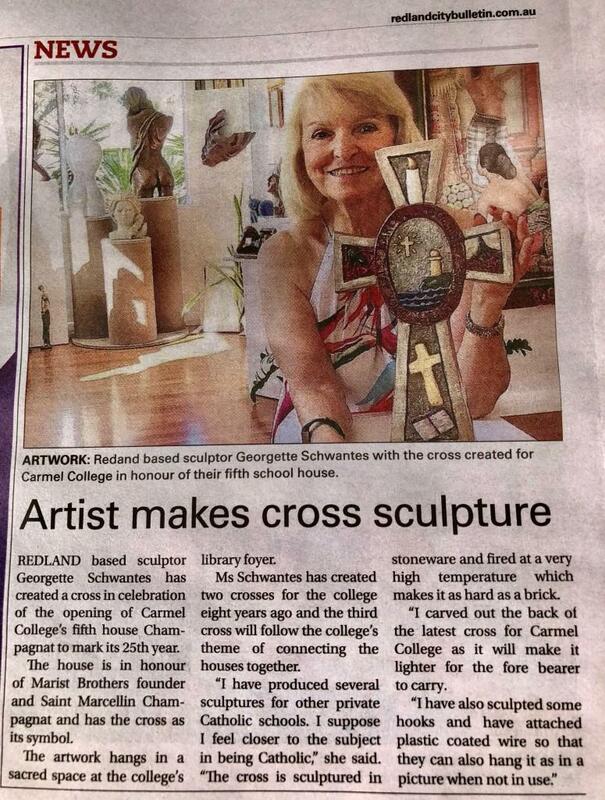 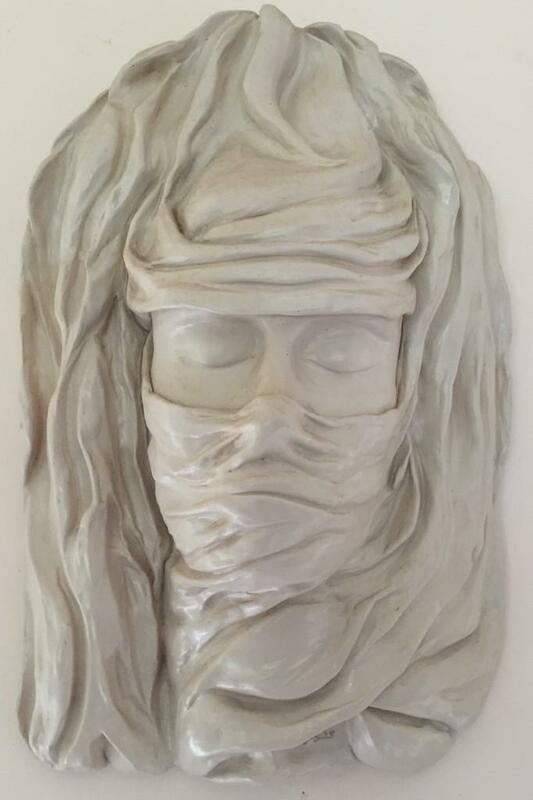 St Martin School were looking for a Sculpture for the School’s Patron Saint in Carina and contacted Georgette Schwantes.